Is it really February? Where did January go?? Oh, wait – I vaguely remember school holidays, work deadlines, very hot days and back-to-school stress. Anyway, we’ve sort of settled back into the normal routines, and I finally managed to add some new items to the shop. 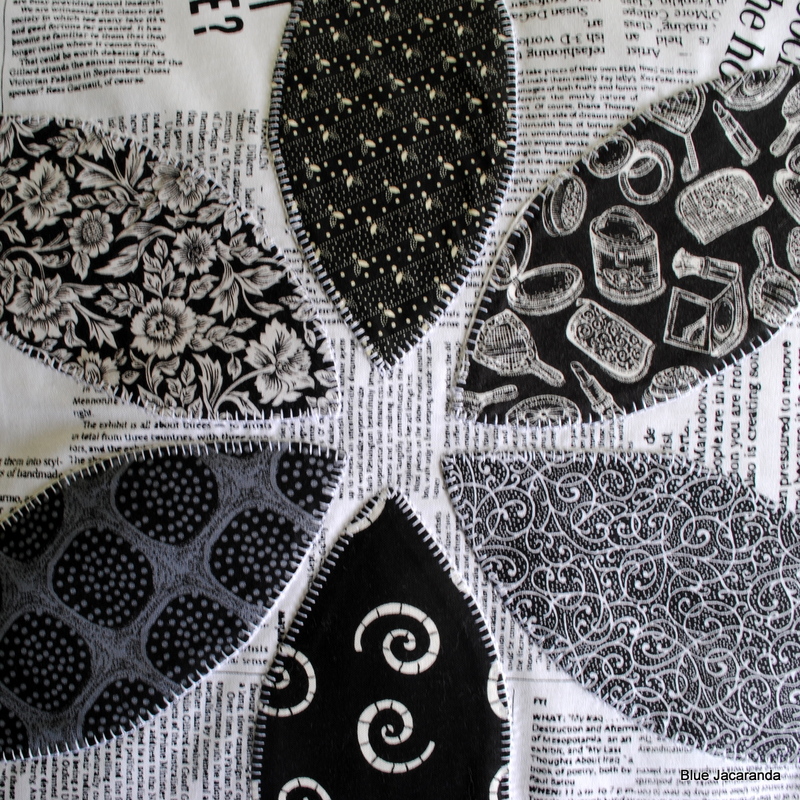 These pillow covers feature a traditional appliqué quilt block called Orange Peel. 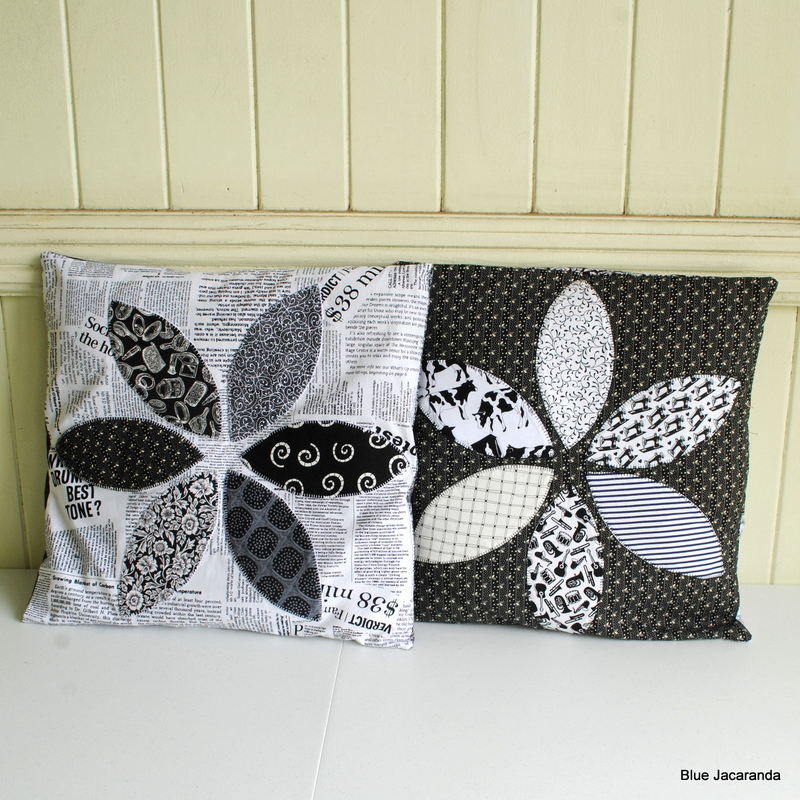 made with graphic black and white fabrics, they have a distinctly modern feel. The covers measure 18 inch / 46 cm square. The set of two can be found in my Etsy shop here. I’m planning to add more new items this month! 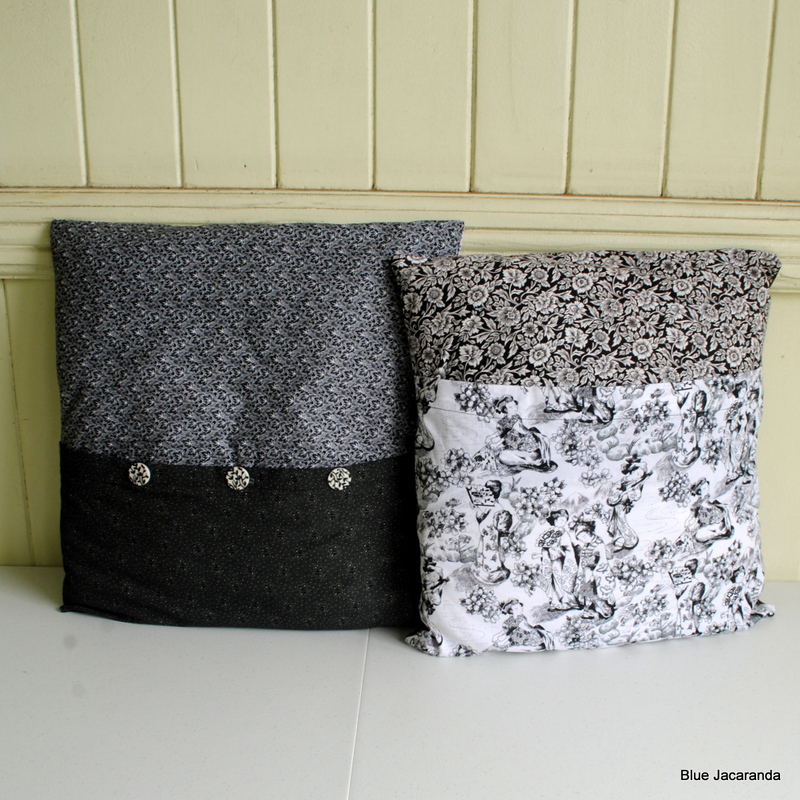 This entry was posted in Uncategorized and tagged appliqué, black and white, cushion covers, pillow covers on February 1, 2014 by bluejacarandadesign.